Super Savings Item! Save 34% on the Wireless Wifi Display Dongle,Musou HDMI 1080P Mini Receiver Adapter Sharing HD Video from Cell Phones/Tablet/PC Support Airplay DLNA Miracast by Musou at AABX. MPN: M-WWD001. Hurry! Limited time offer. Offer valid only while supplies last. This Musou Wifi display dongle is like a TV Stick which streaming video, picture or files from phone to big screen by Airplay, Miracast and DLNA. This Musou Wifi display dongle is like a TV Stick which streaming video, picture or files from phone to big screen by Airplay, Miracast and DLNA. 4. Easy setup: simply plug the stick into your HD TV and connect it to your WLAN. Cordless Display: Streame 1080p videos, games, audio, pictures, apps and files from your mobile to your big HD TV, beamer and monitor. 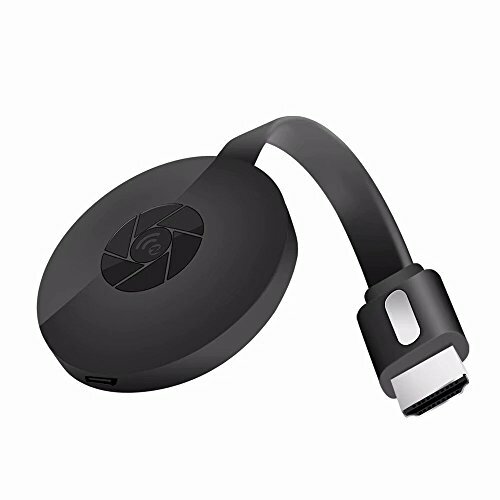 Multi-mode Selecting: Support DLNA, Airplay, Miracast, Airplay mirror and other interconnection agreement (short press mode button switch), and apply for iOS 8.0 / iOS 11 and Android 5.0 and above. Easy to use: Only 3 steps necessary to enjoy your media files on the large screen. Plug-Connect-Mirroring through Miracast, DLNA, Airplay. Compact & Easy to carry:The wireless stick is perfect for presentation in the office or at school (Powerpoint, Excel, Word, PDF and pictures from the smartphone, tablet to the HD TV or beamer, Projector). Notes: Please check whether your Android smart device supports MiraCast(if not, it not works).Read user manual first, if you can not connect well, please contact our service team first. (it is very important). If you have any questions about this product by Musou, contact us by completing and submitting the form below. If you are looking for a specif part number, please include it with your message.